Description: Exclusively Highlands will be back in the Summer! Refreshments will also be available from the Courtyard Cafe througout the event. £4 admission for adult with free entry for children. Description: Today we are offering visitors the opportunity to tour the farm and meet our current Belwade residents. After the tour you get to meet Digger our gentle giant and give him and one of his friends a groom. We then break for lunch where you can enjoy some delicious food in the Bistro. If you would like to book a table please ask when making your experience booking. The afternoon will be spent doing fun crafts, facepainting and story telling. Description: Belle (Emma Watson), a bright, beautiful and independent young woman, is taken prisoner by a beast (Dan Stevens) in its castle. Despite her fears, she befriends the castle’s enchanted staff and learns to look beyond the beast’s hideous exterior, allowing her to recognise the kind heart and soul of the true prince that hides on the inside.s pupil in dance and love. Tickets £3, available from the centre or online. Description: Brand new version of the Murder History Tour! Johnny Milne, Aberdeen’s Worst Hangman has been reincarnated (he’s got a beard this time), and the poisonous landlady, Catherine Humphrey is plotting to do away with her gypit husband James, back in 1830 when Wales Street was the city’s slaughterhouse district. Join us for the old favourites – Bullets in the Cemetery; Harry Burnett’s tragic love triangle in Jackson Terrace; the sad fate of Captain Beaton, Gordon Highlander officer in 1915; and witness some dramatic re-imagining of history. Meet at the Park Road entrance of Trinity Cemetery – just up from Pittodrie’s South Stand entry; PLEASE arrive at least 10min before the start time so we can leave promptly! Description: It’s an OLD SKOOL SPORTS DAY just like the ones you remember! We will also be having a MASCOT RACE to watch our mascots take each other on head-to-head! Keep your eyes peeled for times and more info over on the Facebook event page. Description: Fantastic day out for all the family featuring a multi sports arena, climbing wall, inflatables, live bands and entertainment, food and many local stallholders. Town centre shops will also be offering special deals on the day. Description: Explore some of the history and wildlife to be found on Kincorth Hill with an easy to use orienteering map to follow the trails around the reserve. Find the bronze plaques of leaves and animal tracks along the way and take crayon rubbings to complete your treasure hunt! Meet at the Kincorth Hill car park off Abbotswell Crescent. First Bus number 18 will take you to Abbotswell Crescent. Suitable for children aged 8 and up. Under 16’s must be accompanied by a responsible adult. Drop in any time between 10am & 12 noon. Last start at midday. 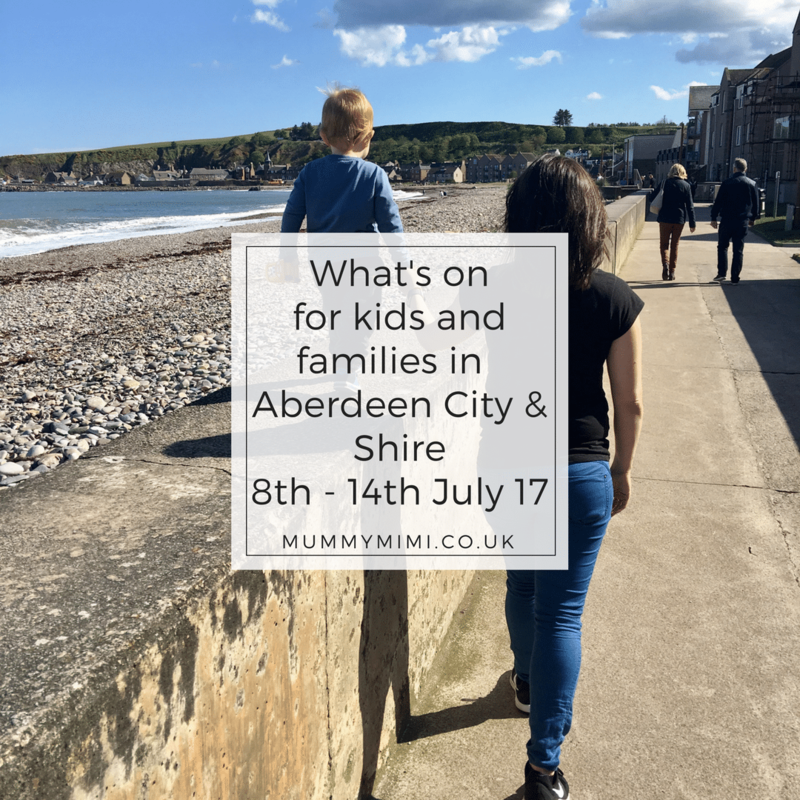 Call 01224 326 429 or email countrysideranger@aberdeencity.gov.uk for more information. Description: Our regular farmers’ market returns to the Thistle Street with a mix of locally produced foodstuffs including cheese, bread, cakes, organic and free range meats, eggs, game, fresh fish, speciality smoked salmon, chutneys and preserves, cooking sauces, jams, artisan beer and much more. just a pity we can’t bring back the musical squares!! Description: Join 10Ft Tall Theatre for a fun filled workshop for children aged 4+. A storytelling session which lifts the stories off the page and makes them alive. From well known classics to hidden gems, your two storytellers will no doubt slip up along the way, yet laughter, adventure and play await in this 40 minute immersive experience. Sure to bring a smile (even to those young at heart!). Description: A chance to learn how Maggie Patience creates her pieces and the opportunity to make a small artwork yourself to take home, using all sorts of recycled sparkly treasures, including mirror, glass, tiles, buttons and beads. No cutting, just gluing, suitable for little fingers of 5 years and upwards. A family event, children must be accompanied by an adult. Numbers will be limited to 15 each 2.5 hour session, so please book your places soon. Cost is £6 per adult and £3 per child towards instruction fees and materials. Description: Visit The Bus Collection At Alford OPEN DAY and view over 20 preserved, restored and to be restored buses. There will also be a number of visiting buses. Description: Join local naturalist Mark Lewis for a guided walk to explore the amazing wildlife of Aberdeen Harbour. The walk will focus on birds as well as providing fantastic opportunities for viewing the area’s resident dolphins, seals and otters. Meeting at the Torry Battery car park next to the RSPB Dolphinwatch van. Bring binoculars if you wish. RSPB Scotland can provide a few extra pairs. Booking is essential as there is a maximum of 12 places. Contact RSPB on 01224 627853 or by emailing dolphinwatch@rspb.org.uk to book your spot! Description: WOULD YOUR KIDS LIKE TO GET CREATIVE THIS SUMMER? A week-long of fun activities, from drumming to mindfulness and printmaking to dance. Book just one class or sign up for the full week! Join us this Summer for the Big Barn Takeover, with a different activity each day. £8.50 per session or book the whole week for the discounted price of £38.00. To book please click here above or phone 01330 825431 (Tues-Sat 12-4pm). To book online for the full week, click on the link and scroll all the way down the page. Collect items in the garden such as leaves, plants, stones and try out printmaking to create your own unique picture. Learn to play together as a samba style group while exploring rhythm in connection with modern music. Kapow! Create your own superhero moves in this fun and energetic dance session. Learn the basics of the Ukulele and take part in the Ukulele X Factor using green screen technology to transport you onto the big stage! Go on a journey through the senses to connect to and explore your inner and outer worlds. Spend time in and around the Barn and the Wild Garden being curious, listening, observing, being still, reflecting and collecting. Description: Join us at The Gordon Highlanders Museum and have a go at creating your very own medal! See up close some of the medals awarded to The Gordons and have a go crafting a gallantry or campaign medal to take home. Booking Required. £3.00 per child (no charge for accompanying adults). Booking is essential, as there are limited spaces. 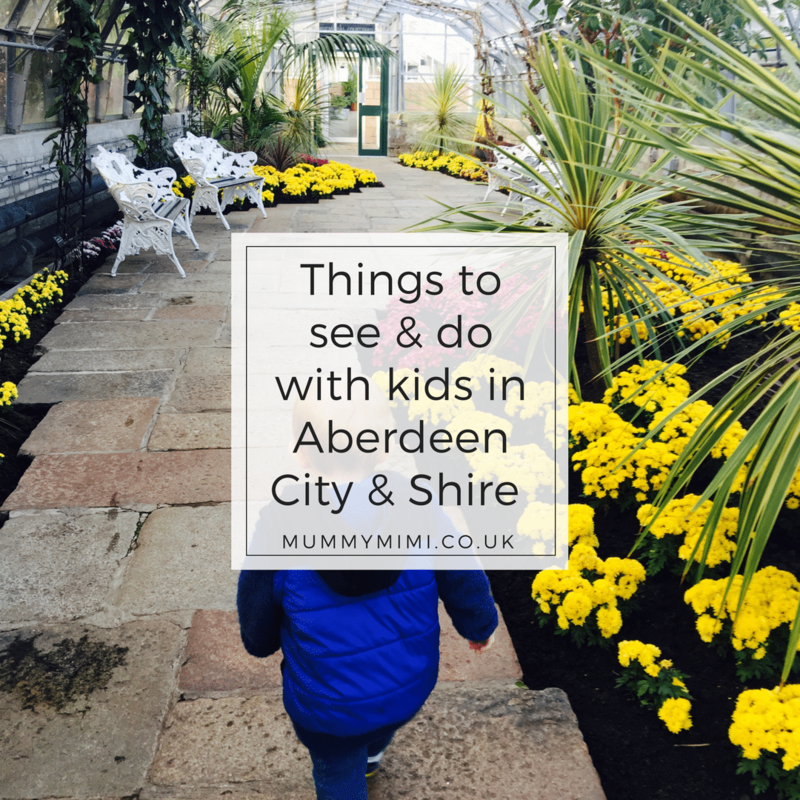 Looking for things to see & do over the holidays in Aberdeen City & Shire with the kids? Why not check out our list here & let us know your favourites! Description: Our STEM club is back with exciting activities over the summer holidays! This July joinus as we explore the world of science in a fun and inspiring way! Members will get to explore Many STEM areas and at the end of the 4 weeks we’ll have a special family challenge and quiz. The first session of our new term will be held on Tuesday 11 July. We will have 4 weekly sessions running each Tuesday until 1 August from there on. Places are limited to 15 spaces and are allocated on a first come first served basis. Children aged 7-11 offers a fun and inspiring way to engage with Science, Technology, Engineering and Maths. Each session includes hands-on activities themed around a STEM topic. Sessions are facilitated by Aberdeen Science Centre staff. Academic and industry professionals periodically participate to share their knowledge and passion. Schedule: the first session will be held on Tuesday 11 july. There are 4 weekly sessions running each Tuesday until 1 August. Hours: sessions will be held from 10 AM to 11:30 AM. Members: Up to 15 members will participate in planned activities under the supervision of our STEM Club Leaders. Guardians: It is recommended that parents / guardians drop members at the Centre and pick them up at the end of the session. Alternatively parents / guardians can wait in The Tramsheds Coffee Shop or stay with children if preferred or required by the needs of the child. Programme: We will cover a variety of STEM topics. Description: Pirate and Fairy workshop a fun action session where your children will enjoy crafts, learning to become a fairy and pirate through drama, dance and games. This is a drop off session therefore your child should be confident beinig dropped off. Price is £15 per child. Description: Join the Rangers to discover the fascinating world of minibeasts out on the Pitmedden estate. We will explore from the woodland floor up to the leaves on the trees to find as many beasties as we can and learn some fascinating facts about what we find. Wandering Wednesday: Eric Hendrie Park! Description: Meet us for a walk/play/picnic at Haddo. It will be a very laid back event, do what suits you and your wee ones. If you want to come for a walk, stay at the park and have a play or bring your lunch and have a picnic too. Meet at the main map/ notice board at the car park. Description: Great news! We are having Explore Learning in store again for more creative writing workshops! The first workshop will be from 11am to 12pm and aimed at younger children and the second one, for for older children, from 12:30pm to 1:30pm. If you’d like to sign up to either of the workshops please contact Explore Learning. This workshop is recommended for children aged 13+ and will run for 3 hours. All children must be accompanied by an adult. Children are required to bring their own laptop with Minecraft installed. Changes in building usage, and the challenges that they pose will be explored in greater detail in this workshop. In 1920, the Aberdeen Corporation Tramways altered this building and began to use it as a tram depot. The swimming pool, its plumbing and infrastructure were removed and the exterior of the building was altered to allow access and egress of the trams. Participants will be asked to consider the design challenges of such a building transformation. Pre booking is essential for this workshop and will cost £4.50/child and £5.75/adult, this includes entry to the centre before and after the session. Participants are asked to arrive at the centre 15 minutes before the start of the session. Description: Join a Countryside Ranger at Scotstown Moor Local Nature Reserve for a fantastic opportunity to see colourful dragonflies and damselflies. Bring along your camera if you want to photograph these eye-catching creatures. Meet at the nature reserve car park of Scotstown Road, Birdge of Don. First Bus number 8 will take you to Dubford Road close by. Description: Crathes is home to badgers, otters, red squirrels, Roe deer, foxes and now we even have pine martens recorded here. But how do we know? Come along and learn how to read the signs and the clues that the animal leave behind. Aimed at children aged 5-11 years | Booking essential. Description: Our Belwade Experience Summer fun days are a great way to spend a day or two in the holidays with family and friends. Today we are offering visitors the opportunity to tour the farm and meet our current Belwade residents. After the tour you get to meet Digger our gentle giant and give him and one of his friends a groom. The afternoon will be spent in our indoor school where we will be doing horseless horse games. This promises to be a fun filled afternoon, participants will have a lot of fun having a go at our horseless games and other horseless fun activities. Booking is highly recommended to avoid disappointment. Spaces are limited. The programme is subject to change but in general will follow this format.